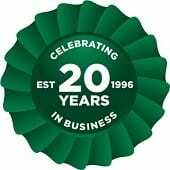 Advanced Handling & Storage Ltd evolved from more than 50 years of family experience within the material handling industry, which led Managing Director Chris Moody to establish the company in 1996. Years earlier, Chris’s father set out to unveil Rushlift Mechanical Handling Ltd and started the business from his in-laws back yard. Rushlift Mechanical Handling Ltd would grow over 25 years to become the largest independent forklift company in the UK. Since day one, Chris has worked tirelessly with family and colleagues to create a business that he has built into a UK leading supplier of factory and warehouse pallet racking systems. The business continues to thrive after more than 20 years, on the philosophy of being family-run and customer-centric. You can discuss your storage needs with The Pallet Racking People today by calling us on 0800 345 7088 or by emailing sales@advanced-handling.co.uk. At Advanced Handling & Storage Ltd, support always continues after the sale and we strive to form strong customer relationships, providing you with dedicated advisors you can contact for any advice.